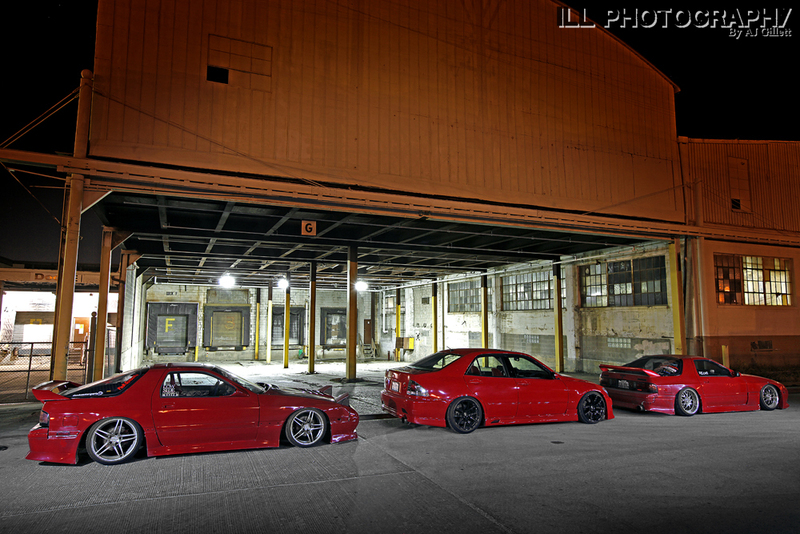 Chi Town’s illest aka Risky Devil crew holding it down as usual. Real talk! The Risky Devil crew runs Chicago, if not, the whole midwest! Their cars are on point! Their photography skill is on point! Their drift skills are on point! How much morecan you ask for when it comes to a car crew? This Panda theme works! Sileighty status on some bronze Work Emotion XD9’s . ReD4DrSiPiNoy has one of the toughest looking FA5’s I’ve seen as of late. Chi-City steez on dope SSR SP1 Professors, dope stance, done up all proper. This was back in 09, he now currently has other wheels which I probably would post another time.